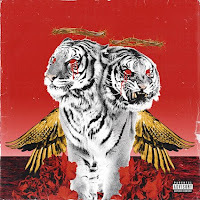 Home / polyphia / reviews / Review || Polyphia - "New Levels New Devils"
Review || Polyphia - "New Levels New Devils"
Polyphia is coming in hot. The band is releasing their 4th full length album, “New Levels New Devils”, via Rude Records in partnership with Equal Vision Records, worldwide on 12th of October 2018. Now mind you, Polyphia is not the type of band that will easily appeal to everyone. You need to approach them with a very open mind. The album contains ten tracks, all of which have their own flavor, but I will choose to talk about those that I found truly outstanding. NLND kicks off with "Nasty". Ironically, and contrary to its title, it's a pretty chill song with many groovy characteristics, as well as an amazing solo feature courtesy of Jason Richardson (formerly of Chelsea Grin). Next is "O.D. ", which is filled with many crazy melodies. One can truly admire how amazingly the clean solos blend with the bass and the drums. Another song that caught me off guard is "Death Note". It starts with a mellow classic guitar followed by a very interesting bassline and contains a special appearance of Ichika Mani. "Drown" is another song with a feature of Mateus Asato, again with many harmonies and playful sounds. Much to my surprise, one of the most outstanding songs was "So Strange", the first one to have lyrics, and which fit very nicely with the style of the song. Finally "G.O.A.T"., an amazing track filled with dark vibes -and it also has a pretty neat video clip which you should definitely check out. 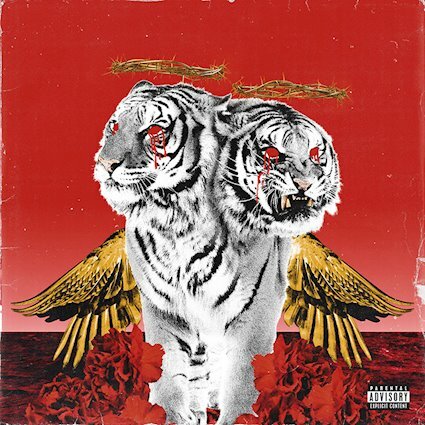 Once again, Polyphia did an amazing job with this album. "New Levels New Devils" showcases how much the band has progressed over the last few years and what they will be capable of in the future. They are for sure raising the bar high -but I am certain that this is no big deal for them.